And, like people, animals can face health consequences from excess weight. "Overweight animals also have certain health issues," said Dr. Susan Nelson, clinical associate professor in the department of clinical sciences and veterinarian at the Kansas State University Veterinary Health Center, in a university news release. 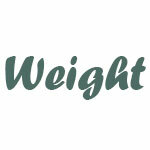 Excess weight "can aggravate joint disease. It can lead to type 2 diabetes. It can aggravate heart conditions, and it can lead to skin diseases as folds in the pet's skin get bigger. It can even shorten their life span," noted Nelson. How can you know if your pet is overweight? You may not be able to tell by appearance alone, since pets can appear to be in good shape even when they aren't. At the appropriate weight, Nelson said, pets should only have a thin layer of fat over their ribs and show an hourglass shape from above. If you have a long-haired pet, it may be best to do this when your dog is wet. Nelson also recommends using a measuring cup to figure out how many calories your pet is eating each day. It's also important to re-check that information every time you switch brands or types of food since calories may vary as much as 200 to 300 per cup between different brands or types of food, she said. Calorie information should be available via the bag or can of pet food. If you can't find calorie details on the packaging, contact the manufacturer. Be cautious about the suggested amount of food for your pet, Nelson said. "In the testing facilities, these animals are typically mandated to have a certain amount of exercise per day because they are research animals," she said. "In reality, a lot of the pets that we own don't get as much exercise as those dogs and cats in the research facilities." Nelson suggests cutting back on treats too, keeping them to no more than 10 percent of your pet's diet. And exercise your pet 20 to 30 minutes per day, if possible. Exercising dogs is usually simple, but what about cats? "You can try scattering the food around in small portions throughout the house so that they have to hunt for it and get more exercise that way, or you can place the food in a location where the cat has to go up and down stairs," Nelson said. "There are also items call food puzzles that you fill with food and the pet needs to work at it to slowly retrieve the kibble." If you think your pet is overweight, it's important to consult your veterinarian before putting your pet on a weight-loss regimen, Nelson cautioned.